Alexander Loftus has won a wide range of significant cases through mediation, arbitration, and trial including claims arising from breach of contract, fraud, construction, shareholder suits, malpractice, and employment. Alexander has handled appeals before the Seventh Circuit, Illinois Appellate Courts, United States Supreme Court, and represented Amicus Curiae before the Illinois Supreme Court. A breach of contract client whose case settled favorably despite facing a significant counterclaim wrote: “Alexander is a very detailed, highly educated attorney… he really takes the time to make sure everything is done correctly and within the law. In 2013, 2014, 2015, 2016, and 2017 Super Lawyers named Alexander as being one of less than 2.5% of Illinois attorneys under age 40 selected for inclusion in Illinois Super Lawyers Rising Stars. Alexander was also included in the Top 100 Trial Lawyers in Illinois by the National Trial Lawyers for 2013, 2014, 2015, 2016, and 2017. 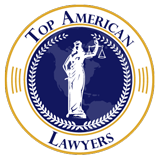 In 2014 Alexander was included in the Top 40 Litigators Under Age 40 by the American Society of Legal Advocates. The American Society of Legal Advocates exclusive membership comprises less than 1.5% of all licensed attorneys nationwide. Alexander grew up in a small town in Southern Wisconsin and went to college in Saint Paul, Minnesota and Washington, D.C. In college he studied Political Science and was a member of Pi Sigma Alpha (national political science honor society). While studying at American University, Alexander held his first legal position as an investigator for Mental Health Division of Public Defender Service for the District of Columbia. Shortly thereafter, he graduated from DePaul University College of Law with honors in 2010. While at DePaul he was an Editor and Staff Writer for the DePaul/Commercial Law League of America Business & Commercial Law Journal.